Acute diabetes is also known as type 2 diabetes. 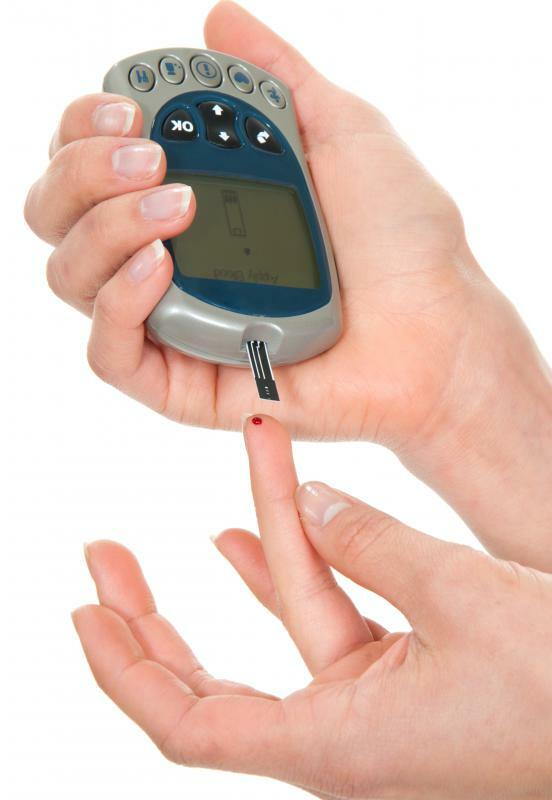 Diabetics monitor blood sugar levels to help prevent hyperglycemia. 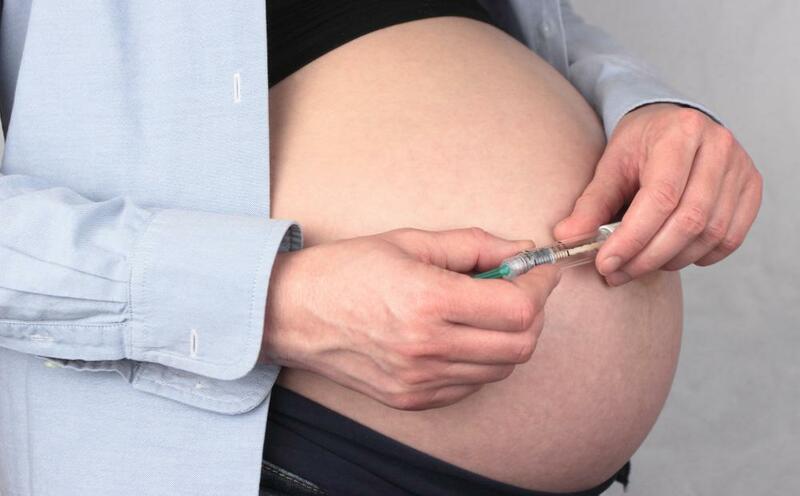 Women with gestational diabetes might be more at risk of acute diabetes. Acute diabetes, also known as adult-onset diabetes or Type 2 diabetes, is the sudden inability for the body to metabolize glucose due to insulin resistance. Treatment generally involves regular monitoring of one’s blood sugar and the implementation of dietary and lifestyle changes. 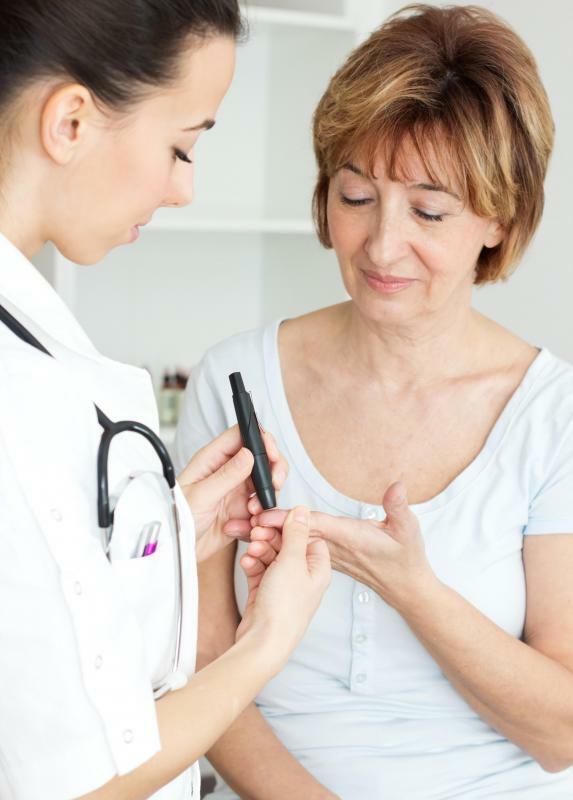 In some cases, the administration of insulin or use of medications may be necessary to regulate blood sugar levels and avoid the potential for life-threatening complications. Though it is unknown as to what triggers the onset of acute diabetes, a variety of genetic and behavioral factors may contribute to its development. Individuals who do not get sufficient, regular exercise or struggle with obesity often are at an increased risk for becoming symptomatic. Women with a history of gestational diabetes or those with prediabetes also may be susceptible to developing diabetes. Additional factors that are thought to contribute to disease onset are familial history and age. A diagnosis of acute diabetes is generally made with the administration of a blood test, known as a glycated hemoglobin (A1C). With a single administration, the test offers an overall three month average of one's blood sugar levels. Individuals who are unable to have an A1C test performed may undergo more traditional blood testing, such as a blood sugar test that requires one to fast overnight prior to testing. Acute diabetes presents when the body does not possess enough insulin to metabolize the sugar one naturally produces and consumes through his or her diet. Considered the main fuel that runs the body's various systems, glucose is regulated by the liver, which is in charge of sugar production, storage, and distribution. As the liver works to regulate glucose, the pancreas produces the insulin hormone that works to keep one’s glucose levels in check. In the presence of insufficient insulin, glucose can accumulate in the bloodstream causing a variety of adverse physiological responses. Individuals with high blood sugar, or hyperglycemia, often develop a variety of signs and symptoms indicating that something is wrong. Frequently, high blood sugar levels will cause one to experience excessive thirst and hunger. It is not uncommon for individuals with unregulated diabetes to exhibit pronounced weight loss and fatigue as well. If left untreated, acute diabetes can lead to the development of life-threatening complications. Unchecked symptoms can progress, leading to the development of conditions that seriously compromise organ function, such as kidney or heart failure. The health of one’s blood vessels and nerves also may become jeopardized in the presence of high blood sugar levels, leading to decreased circulation and impaired nerve function. Diabetic individuals with compromised circulation and nerve function oftentimes are at an increased risk for infection, amputation, and other serious complications that negatively impact immunity and the body's ability to heal itself. Treatment is centered on regulating and stabilizing one’s blood glucose levels. Successful treatment typically involves adhering to a strict schedule of monitoring one’s food intake, including portion sizes and time of day, and blood sugar levels. Dietary changes often include decreasing one’s intake of fatty, high sugar foods and increasing his or her consumption of fruits and vegetables. Lifestyle changes often include increasing one’s physical activity, limiting one’s alcohol intake, and healthy stress management. Some individuals may require the use of insulin therapy or medications to regulate insulin production and stabilize blood sugar levels. Is There a Diabetes Cure? What is the Difference Between a Chronic and Acute Medical Condition? @discographer-- There is still no consensus on this. Sometimes acute diabetes develops due to obesity or due to an underlying condition like pregnancy, as is the case in gestational diabetes. But it can also be hereditary in part. I personally think that it's hereditary, but the disease is triggered by other factors like obesity and sedentary life style. Diabetes symptoms are similar but they may not show up the same way in everyone. For example, I have type 2 diabetes but I did not experience weight loss due to the condition. I experienced some weight loss after starting my diabetes medication. I thought that acute diabetes is just caused by obesity. Does it have genetic causes as well? And are the symptoms of type 1 diabetes and acute diabetes exactly the same? When I went to my doctor suspecting diabetes, I was actually given a glucose tolerance test rather than an A1C test. Some doctors make the mistake of only testing for fasting glucose levels or glucose levels 2 hours after reading. I had already read up extensively on the subject before going to my doctor and I specifically requested a 3 hour glucose tolerance test. I'm so glad I did because that's how my acute diabetes or type 2 diabetes was diagnosed. My fasting glucose and 2 hour glucose levels came back normal. But my 1 hour glucose came back as 240mg/dL which is diabetes. So I urge those with diabetes in their family and who are also experiencing symptoms of diabetes to ask for a three hour glucose test. It's just more comprehensive.